It’s a simple enough theory that fewer passengers should mean better service. And the numbers bear it out: Airlines flew 30 million fewer people in 2008 than in 2007; customer complains in 2008 dropped to 1.15 per 100,000 passengers, down from 1.42 per 100,000 in 2007. Of the 17 airlines included in the report, Southwest posted the best complaint rate, with 0.25 complaints per 100,000. United‘s rate was the worst, at 2.25. More fun stats: The overall rate of mishandled bags fell from 7.01 per 1,000 in 2007 to 5.19 (AirTran was best, with a rate of 2.87), while denied boardings (bumping) fell slightly from 1.14 per 10,000 to 1.1 (JetBlue was best with a minuscule rate of 0.01). If you want the full list of stats, check out the Bureau of Transportation Statistics. What I want to know is whether or not this reflects your experience. Do you think airlines have improved service over the last year? It makes sense—with demand down, carriers have to work harder to earn and retain business. But are they really giving passengers less to complain about? Are you being bumped less? 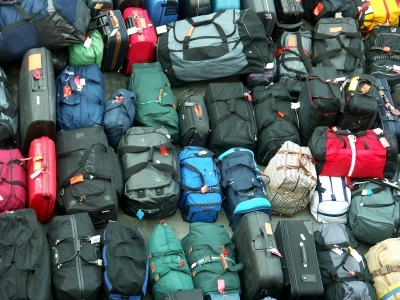 Is your bag still getting lost? Leave a comment below and share your thoughts. Thanks!